In Columbia Epiphany is celebrated on the Monday after 6 January, unless January 6th lands on a Monday. 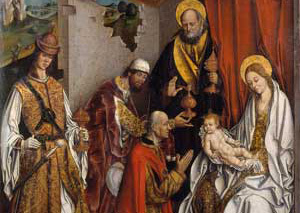 It is one of the three main Christian holidays and commemorates the presentation of baby Jesus to the three wise men. It is basically a continuation of Christmas day where families get together to celebrate. Many have gatherings and plan fun activities to take part in. Since Christmas Day was recognized as the birth of Jesus, then January 6th was seen as the day that the wise men came to visit Jesus with their three gifts. The number of wise men is uncertain but based off the number of gifts it was assumed there were three and thus the holiday came to be in order celebrate this important event in Christian faith.